As 13 states struggle with drought, scientists in a corner of India have devised a way to make potable water – 6.3 million litres of it every day – from sea water. They have also developed certain filteration methods that ensure groundwater containing arsenic and uranium are safe to drink. 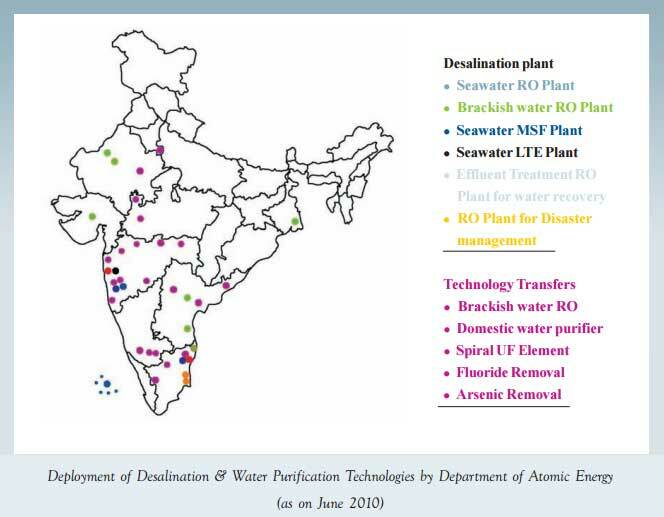 The technical information document on Desalination & Water Purification Technologies published by the scientists at the Bhabha Atomic Research Centre with the purpose of creating awareness of and appreciation for desalination and water purification technologies, among the entrepreneurs, NGOs and other interested groups stresses the need to make safe drinking water available to the needy population in a reliable, sustainable and affordable manner using the indigenous technologies and supplementing with market technologies in an accelerated manner on a significant scale. Early humans thought that the taste of the water determined its purity. 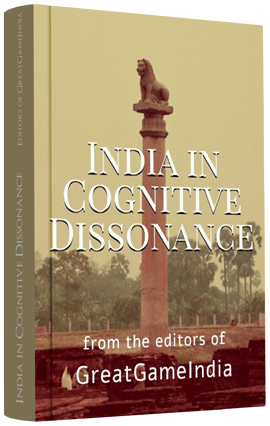 The Sus’ruta Samhita, Sanskrit writings about medical concerns, gives evidence that water treatment may well be as ancient as humans are. The Greeks and Romans are well known for their elaborate water systems. These early water treatment professionals used a variety of methods to control taste and odor problems in their water supplies. A correlation between water quality and health was made, in mid- 19th century in London, when a decrease in cholera deaths epidemics were noticed where slow sand filters had been installed. The World Health Organisation (WHO) has set international guidelines for drinking water. Almost all countries have drinking water quality regulations, often inspired by WHO guidelines. According to the United Nations, over 1.1 billion people are currently without safe drinking water. It is predicted that a significant fraction of the global population (over 3.5 billion people) will be living in areas facing severe water shortages by the year 2025. More than half of the world’s hospital beds are occupied by patients suffering from water borne diseases. Many of these diseases can be prevented by providing safe drinking water. The United Nations General Assembly has proclaimed the years 2005-2015 as the International Decade for Action ‘Water for Life’. It is in this context, the role of desalination and water purification becomes very important. Desalination of water is one of the key drivers under non-power applications of Department of Atomic Energy program. Desalination Division, Bhabha Atomic Research Centre (BARC) has been engaged in R&D on various aspects of desalination and water purification technologies starting from basic research work to development and deployment efforts. Dedicated team of scientists and engineers have contributed substantially to the expertise gathered, technologies developed and know how generated in the research centre. The research work carried out has mainly focused on technological innovations, quality, reliability and commercialization potential of the product/ technology for deployment over large scale. State-of-theart reliable technologies have been developed to address the growing need of good quality water for industries and human consumption. About 40 million people (over 75% are children) are affected by water borne diseases every year. Nearly six million children below 14 years of age suffer from fluorosis due to fluoride contamination in water. Arsenic is another dangerous contaminant in ground water putting at risk more than 10 million people in the country. Bacteriological contamination, which leads to diarrhea, cholera, hepatitis etc., is at alert level in India. Contamination due to Iron, hardness and salinity in water are other major concern. Medical expenditure on water borne diseases is estimated to be Rs. 2400 crores annualy in the country. The need for desalination and water purification is destined to grow in the coming years as the requirement for water increases. Bhabha Atomic Research Centre (BARC) has been engaged in R&D on desalination and water purification technologies for several years and has developed indigenous technologies which are available for know-how transfer to interested parties. BARC has developed several membranes, by which, at a very small cost, groundwater contaminated by uranium or arsenic can be purified and make fit for drinking. The pilot plant at Tamil Nadu’s Kalpakkam, built by scientists of Bhabha Atomic Research Centre use waste steam from a nuclear reactor to purify the seawater. Its capacity is 6.3 million litres every day. Several such plants have been installed in Punjab, as well as West Bengal, Rajasthan.